Your post is spot-on, Don. And it makes me evaluate the true value of a gift. I remember when I bought my mother a songbook for her birthday (I am a musician). When my friend, an athlete, saw it, he said: “That’s like me buying my mom a soccer ball.” How essential to give what someone will appreciate! The hard part is that it often requires more from us than simply money. Great article and so true. Thank you for the reminder. It reinforces the scripture to consider others as more important than yourself & putting their needs before our owns. It also incorporates the art of listening and observation of their lives and surroundings. Have a blessed day! 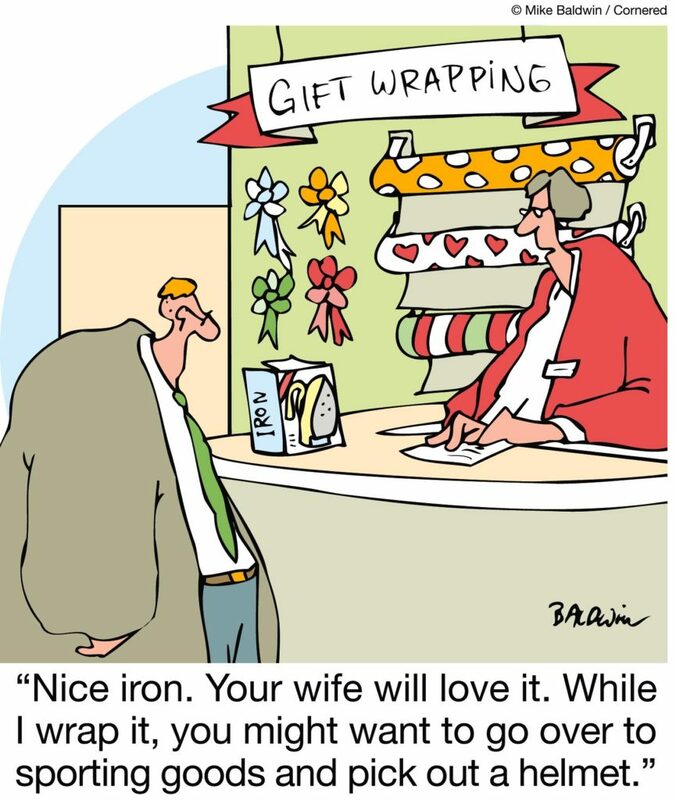 I have always tried to give gifts that I know the intended would love to have but would never buy for themselves. It takes a lot of thought and planning but well worth the joy I receive in knowing that the it is well received. Jane, that’s a nice thought – to buy something for someone that they would like but would not buy for herself. We sometimes do that for Mary’s mom. She is so frugal; she would never buy herself nice perfume or soaps; so Mary often treats her to those types of items. Grams loves it. Many years ago, I gave my husband a fine gold watch he did not want. He did not tell me till years later that he did not like it since he would have liked another brand. He still wears the watch to this day on Sundays. The same thing for me. My husband bought for me a diamond bracelet. The sales lady who knew me, told him that I would not like it and advised him to get a bigger one. He did not. I never wear it. I should have taken it back for an exchange. He would have never known it was a different one than he bought. My husband could have taken back the watch. What is the matter with us?????? The moral of the story is : the cost does not matter. If we do not like something, we just don’t . Women are more sensitive in that respect; I admit. This is so true. When I was younger, my mom collected a certain type of ceramic figurine. Because she liked them so much, I began buying her one for every birthday and christmas. She eventually (gently) told me that while she appreciated my thoughtfulness, part of what she liked about collecting was getting to go pick out the one that appealed most to her; me choosing my favorite was taking away part of her fun. After that, I’d buy her a gift card and we would go to the store together so she could pick out which one she wanted. It ended up being more fun for both of us that way. Katherine, thanks for your transparency. It’s something we all struggle with. Do you have a friend who could serve as a coach to help you work on this? It often takes another person to help us see and respond differently. You are so correct. So often we want others to share our likes and give them gifts that really should be a special treat for our self…..not a gift for someone else. After a few disappointments I learned to think about the gift recipient. Recently for my daughters birthday (not an easy lady to please) I gave her tickets to see her favorite performer, valet parking & after performance snacks at a nearby restaurant. Child #2 who lives in Spokane, birth was the next month. I sent him & his best friend to dinner, special IPIC theatre and Starbucks after the movie. Happy Boy!!! Both children were thrilled!!! Yippee…..love it when my children are happy! !